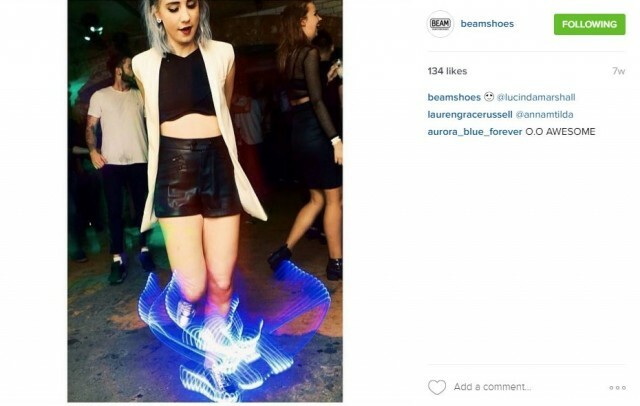 Have you seen Beam's light up trainers? 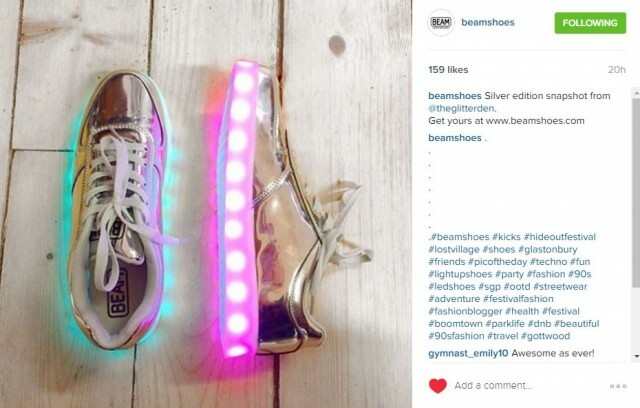 Have you seen Beam’s light up trainers? 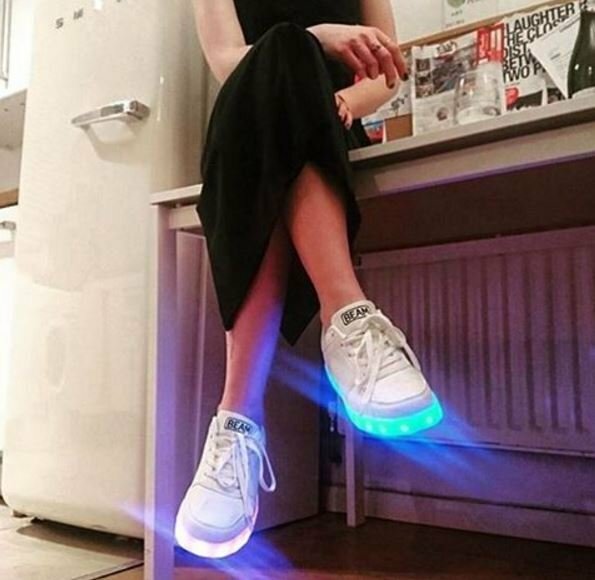 Remember those light up trainers you wore when you were 10? Now there are versions for adults. They’re like Air Force but better, because they come with their own USB charger and have nine different light settings. 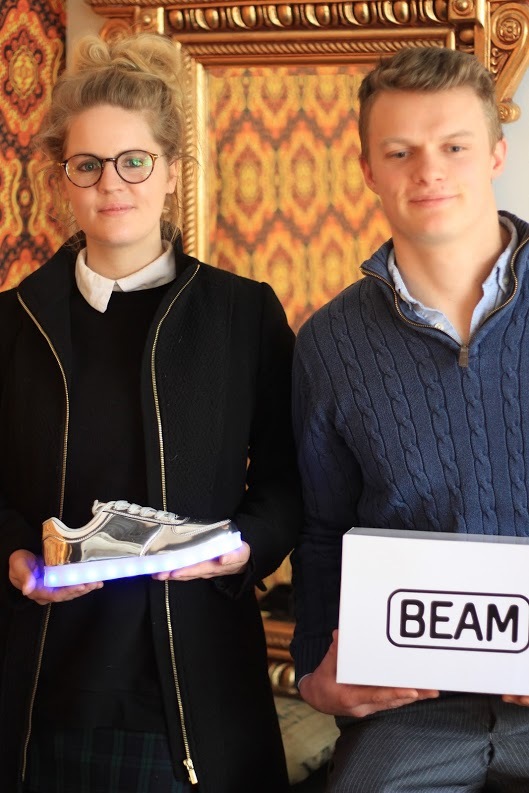 The brand is called Beam, and was set up by best mates, Serena and Gus last year. 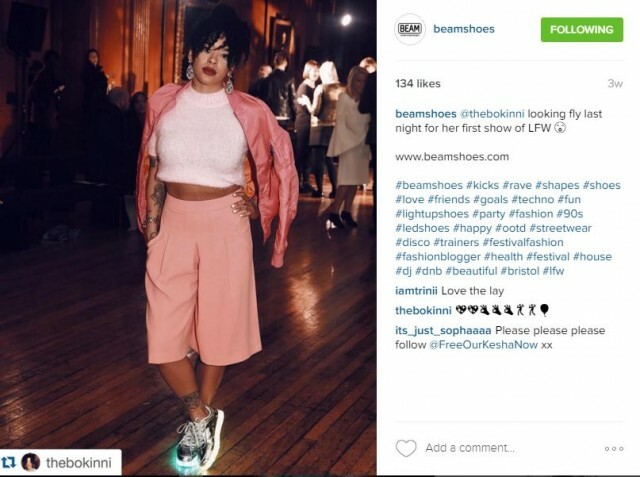 They’ve been spotted on celebrities and bloggers including The Confetti Crowd and Yinka Bokinni. And they only launched last winter. 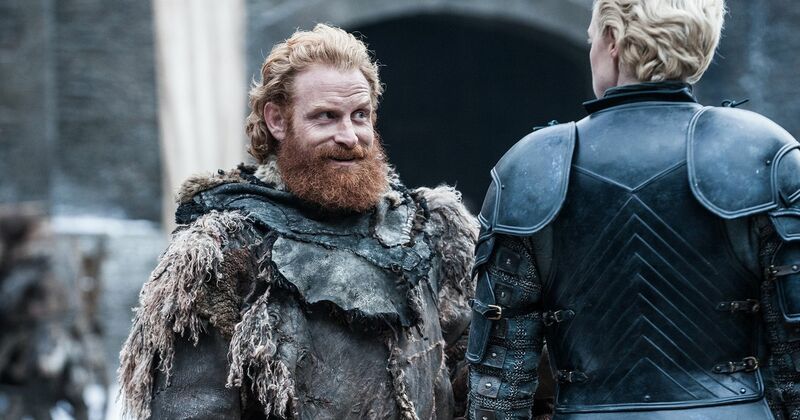 I met the pair on Brick Lane to discuss founding a business with your best mate, working from a garage and their festival plans for this summer. Serena: I’d just graduated from Edinburgh, and was at a festival in Iceland. 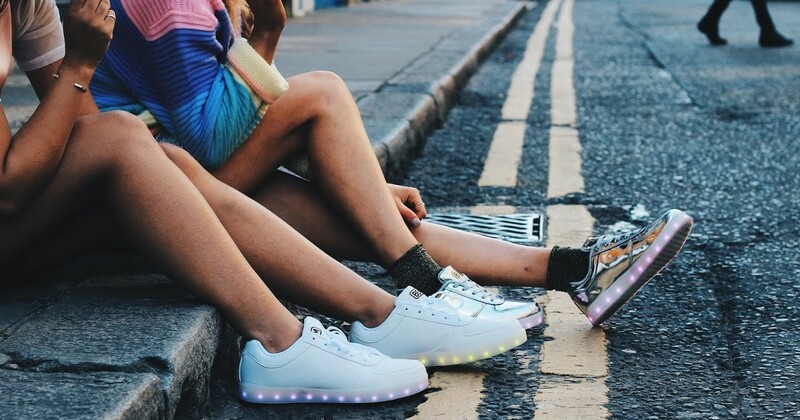 Two girls were wearing these light up trainers, so I ran over and asked them where they were from. They’d got them from eBay and they were really bad quality. I bought a pair and wore them to the Fringe festival. They looked fine from afar, but up close the style wasn’t right, the switch wasn’t very good, the lights weren’t that strong. But I felt like a celebrity when I wore them – every other person kept running up to me asking where they were from. Basically, I saw huge interest and decided to make it grow: to make the same thing but in better quality. They’re the kind of shoes that really make you stand out. Gus: Serena came back and told me about them. No one reputable was selling them online, so we leaped on the opportunity. Who decided the name Beam? We decided together. It’s positive, and has connotations of people smiling – which is we want the brand to be. It’s all about fun. 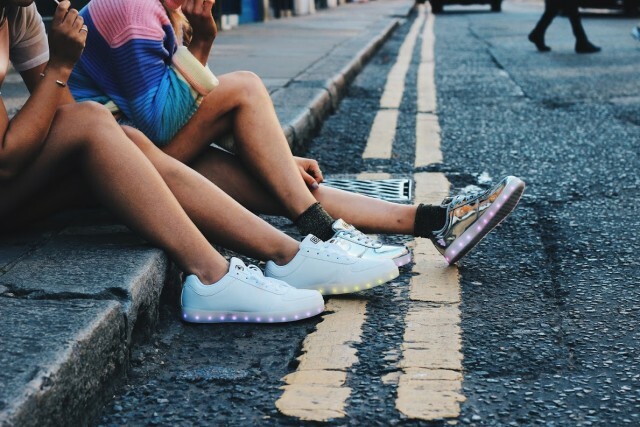 Did you get any inspiration from those light-up shoes children wore in the 90s? 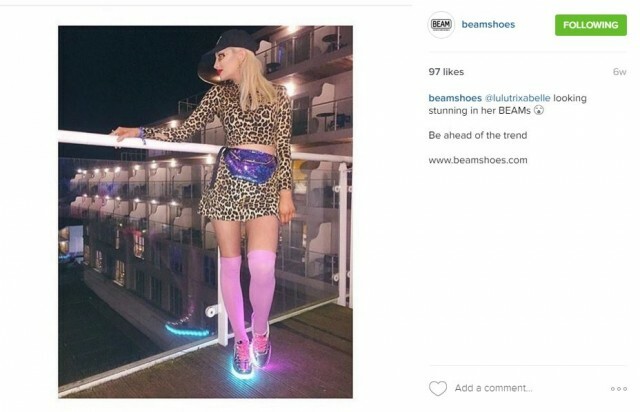 Serena: Yeah, that’s why our tagline is light-up shoes for adults. We all remember them from the 90s – it’s fun to have them now, as adults. Gus: When you’re explaining the business to someone, it’s so much easier to relate them to the kids shoes we had when we were younger. You guys are best friends – do you think that helps a lot with your business? Yeah, we met when were 13! It helps so much with our business. We can criticise each other so much without it hurting. We actually haven’t actually had any arguments yet. It’s been a really good working relationship so far. We don’t live that close to each other, so at the moment we’re mainly working over WhatsApp. We talk a lot though, and we’re planning to find somewhere to work together soon. How did you start to advertise the shoes? Instagram, Facebook and Twitter. 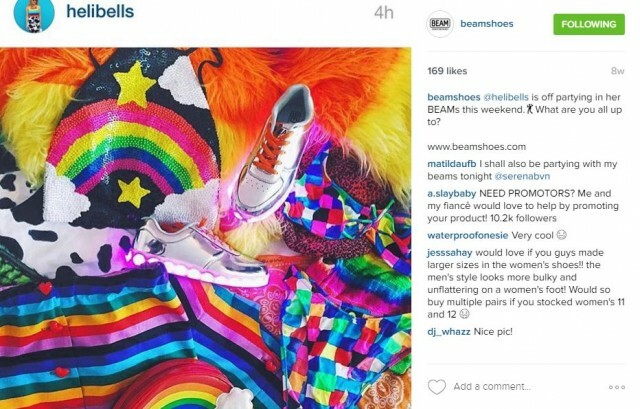 Instagram is still our main form of marketing. It’s so important. How did you grow your Instagram following? Serena: Just by posting new stuff. I spend so much time on it. There is supposed to be a good time of day to post, but I’m not really sure when that is to be honest. I am always trying to find something to post. At the beginning, I struggled to get new content for our Instagram. So we post a lot of customer photos. 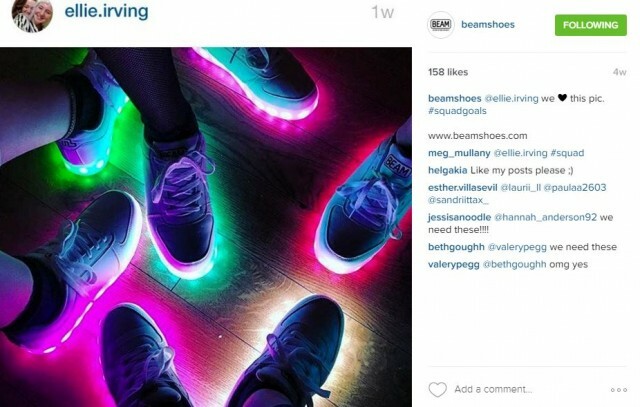 We really encourage our customers’ content – posting pictures of their shoes. It is very customer-generated. A great way of making it on Instagram is to look a lot at what other successful people have posted. I took inspiration from some of my favourite Instagrams, like Betches or The Confetti Crowd. 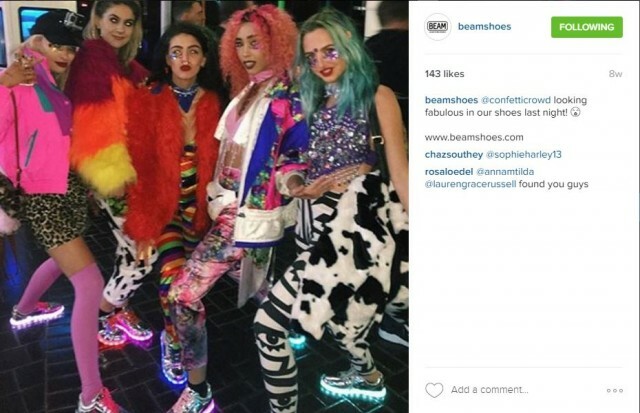 I’ve seen that the Confetti Crowd are big fans of your shoes? Yeah, we gave them all some shoes in October, and they took some amazing photos in them. They’ve actually done so much for us. The silver ones sold so well after they wore them. They’re the perfect kind of people for our shoes. What type of person are your shoes aimed at? Anyone, we don’t want to be too inclusive. At first we saw them as festival shoes, shoes for going out. But really, we have people who wear them cycling, walking and during the daytime. They’re such a good way to brighten up an outfit. But would your parents wear them? Gus: I actually got my mum to try on some of them before and pose with them. It was very funny. They’re not really her thing though! Serena: Well, my mum keeps trying to, but my dad won’t let her. He says it’s “not the right branding”. They’re pretty unique, you can’t get them on the high street. 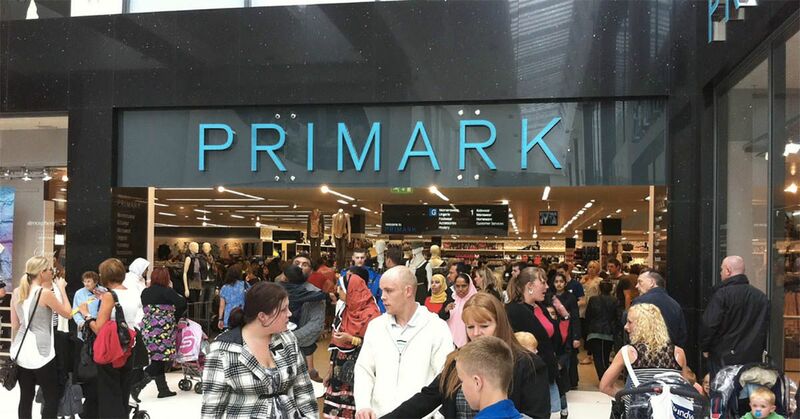 Do you have plans to be on the high street? Actually, we’ve been chatting with Urban Outfitters, Shuh and ASOS which is really exciting. Someone called Michelle in London. Also, the day after we did an event with Love Specs in London. About five people just bought them on the night which was great. Tell us more about the charity Love Specs, who deliver education in Malawi. Serena: They’re a company I’d wanted to work for for ages. I’d seen them at a festival before, I think. They’re really cool, so I just approached them as they were perfect for Beam. We’ve donated 20 pairs of our shoes to them, and they wear them to festivals with their sunglasses. We donate £2 for every white or black pair that we sell that goes to their charity. 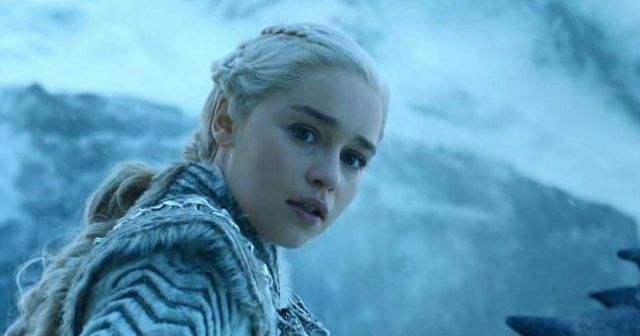 Do you guys handle everything alone or do you have a big team? Gus: No, at the moment it is just us! We’re doing pretty well at the moment. Serena is more on the outreach side – finding bloggers, etc. I’m more on the technical side, dealing with the website. I actually have all the shoes in my garage and do all the posting myself. I pick them out, make sure they’re working and put boxes together with nice tissue paper and Haribo. It is quite a long process. But we’re moving to a bigger centre soon which will free up so much time for me. What is the most popular colour? Our silvers definitely. Especially since Confetti Crowd posted photos with them. Are your customers men or women? At the moment, we’re way more popular with women, mainly because our marketing has been more female-oriented. 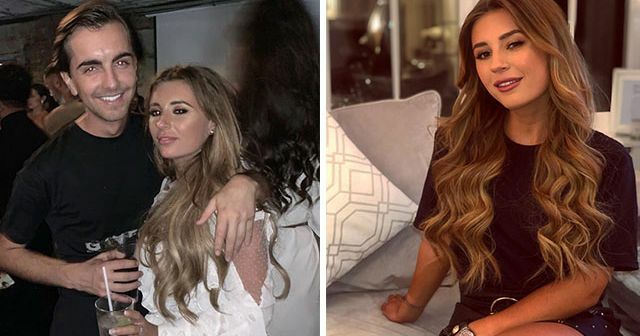 All our influencers so far have been women. But the advertising we’re working on now will be more inclusive of men. 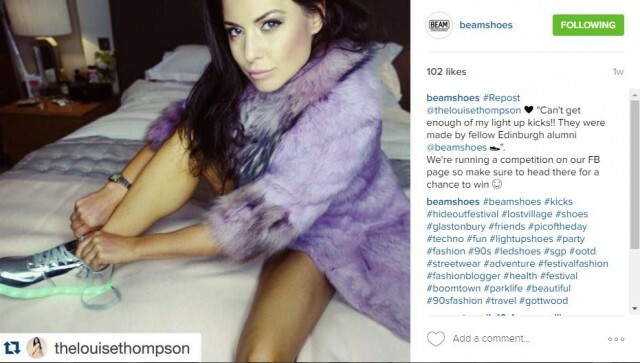 Louise Thompson from MIC is a huge fan, how did she hear about them? She went to the same uni, so I just messaged her asking if she’d be interested in us sending some. That was really cool. Yeah we’ve had a few. People like Anne-Marie, Love Specs and Eastenders actor Ted Riley. Do you have any plans for collaborations in the future? We’re working with a design student in Brighton, Billy. We want to bring out a designer range with her designs – we’re really excited about that. Towards the end of the summer. Would be super limited edition and would look really, really good. What are your other plans? Serena: We’ve actually got many more designs coming out soon. I’ve been working on samples: some sporty styles for men, some high tops and some new colours. We’re doing some patterned ones too. I do the designing too, but have no previous experience in shoe design. Will you ever do any other items of clothing? We have talked about it. LED clothing maybe, but it’s just an idea. Once we’re a bit more established we might. Do you have a favourite night out? Serena: Cabaret Voltaire in Edinburgh. I used to work for them so went there a lot. Are you going to any festivals this summer? Serena: We’re hopefully doing loads. I’ve already got a ticket for Field Day. I’m also going to El Dorado, the Cirque one, Craig David is going which will be amazing. Love Specs get us free entry to a whole load of places too. Fingers crossed something will happen with SGP and Beam, we really want to go! Any trends you predict for the future? Pom poms – we’re doing some of them at the moment. They’re just so fun. 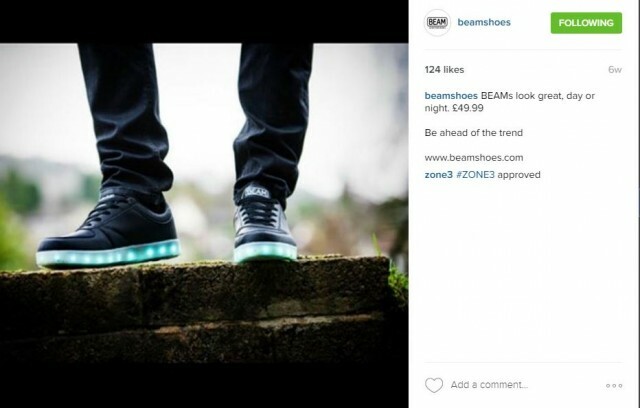 We’ll be sharing our exclusive Brick Lane photo shoot with Beam this week, too.